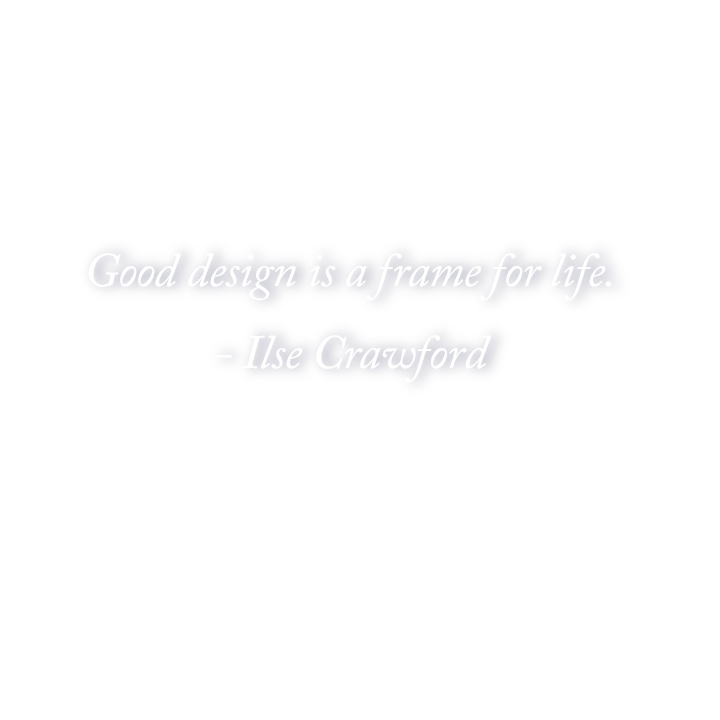 Good design is a frame for life. A thoughtful design program addresses more than just aesthetics, it plans for our everyday routines and narrates the story of those inhabiting a space. PLACED Interior Design is all about holistic decision making when designing interiors. It's about being intentional on the choices we make to place something in our environment. Drawing from a background in design and management, I make the design process seamless and stress-free for my clients. Whether it's a simple update to décor, adding style and organization to a family's busy home, or a complete renovation, I bring a fresh design sensibility, holistic thinking, and a collaborative work style to every project. PLACED Interior Design provides à la carte and full service packages for art selection, color consulting, furniture and finish selection, space planning and universal design.